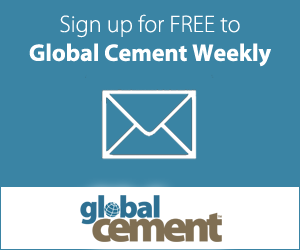 UK: The Global Cement and Concrete Association (GCCA) has appointed Benjamin Sporton as its chief executive. He will take up the role in early October 2018. Sporton joins the GCCA from the World Coal Association where he has served as chief executive for almost four years. As chief executive of the newly-formed GCCA, Sporton will lead the association’s efforts to drive advances in sustainable construction, working to enhance the cement and concrete industry’s contribution to a variety of global social and developmental challenges. A dual Australian-British national, Sporton joined the World Coal Association as its Policy Director in 2010 and became deputy chief executive two years later. Before his appointment as chief executive in 2014, Sporton led the World Coal Association’s strategic and business planning and was responsible for its policy and advocacy work with a particular focus on sustainable development and climate change issues. He holds an honours degree in politics from the University of Adelaide and has also studied at the University of Buenos Aires and the Australian Institute of Management.